Wanted as a player, and now wanted as a gaffer, the allure of Zinedine Zidane knows no bounds. The successful Frenchman made history when he won three consecutive Champions League titles with Real Madrid. His choice to quit the club prior to the start of this season was equally shocking, and since then, he has become the most eligible manager without a club. As of such, he was the likely candidate to be picked for Jose Mourinho’s post at Manchester United, with most of the media already baptizing him as the struggling Portuguese manager’s successor. While recent reports have gone as far as to claim that the Red Devils had asked him to not accept any other offers, a trustworthy claim has emerged with a different piece of news. Alain Migliaccio, Zidane’s long-term agent and the famous engineer of his move from Real Madrid to Juventus, feels that United won’t be the destination chosen by the man. 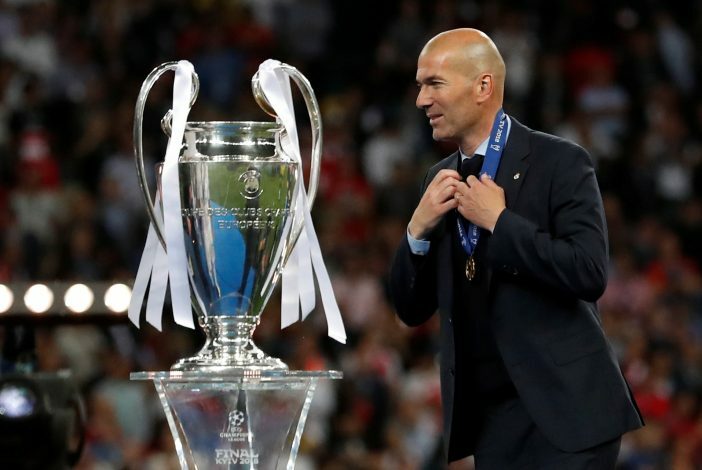 The Italian giants are certainly the likelier name to be linked with the gaffer, and were mentioned in the more realistic speculation building up to Zidane’s future. Further, going to the Old Lady would make sense for him on a personal level, as he’d be chomping titles at those clubs where he formerly won glory at.